High-end shampoo and conditioner, paw massages, and a thorough brushing to keep the coat functioning well. Catch Pyrenees rolling in the mud as soon as you get home. 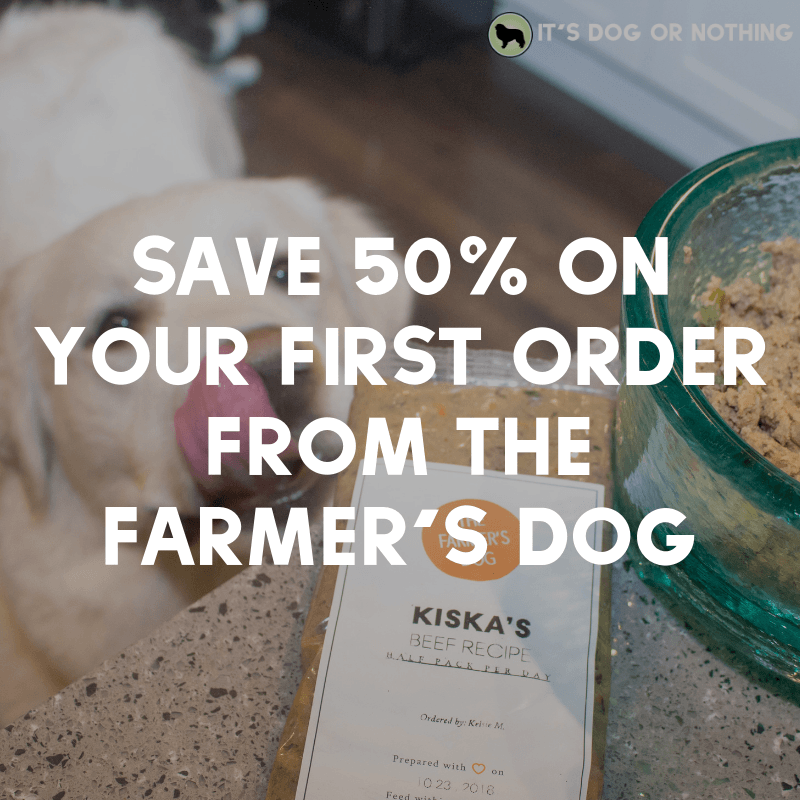 Spend your day preparing healthy meals or purchase top of the line food for your Pyrenees. Cry when your Pyrenees snubs your high-quality, healthy meal. Search high and low for a Pyrenees-sized pool to keep him cool in the summer. Watch Pyrenees use it as a giant water bowl instead. Notice Pyrenees get bored of the Kong after 5 minutes, before becoming even close to finishing it. This is true for most all treat-dispensing toys. Throw your hands up in despair as Pyrenees completely ignores the new toys. Remember Pyrenees is massive and you have to sleep on the floor instead. Both are necessary to satisfy instinctual needs and keep yourself safe. Learn that Pyrenees thinks the leaves blowing outside are threats (or any of these other 101+ reasons). 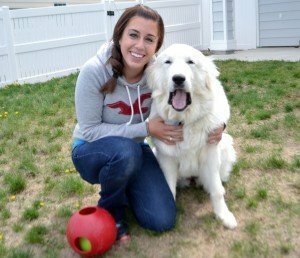 How do you keep your Great Pyrenees happy? Those sound like 10 tips for any pup! 🙂 Great list! BOL! Oh my, these fit with my GSD Magic, too! And with the cats…. Not that they’re as big as a Pyr, they only think they are. A twin mattress works well as a Great Pyr dog bed and it is easy to change sheets. However when I am shopping, my Pyr pulls out tiny dog beds, pillow size for her, and seems to think they are great. Great for what? .We had him for 11 years. I MISS him every day. He had a growth that was cutting off his air. I had to put down my beautiful big girl about 2 years ago and still suffer her loss. I have a new beauty who is helping me deal with my grief. I discovered that there was a space in my heart for her. I’m sorry you haven’t been able to get a new best friend. I hope your heart heals with time. My Kuna passed away a year and a half ago. She died in my arms, at home. She was 9. She was diagnosed with hemagiosarcoma . A very fast cancer that took her aeay from me way too soon. I miss her very much! I think about her each day and reflect back on our special walks down to the river and her riding in the back of my truck. Memories forever! I bought one that looks like a cot but it’s a cooling bed. very inexpensive! Completely fits our Pyr to a T. ? Love the snuggles. All those things are too true. I have found my pyr loves walks, car rides, belly rubs, and treats. That’s about the extent of his favorite things except me, I’m his favorite person. Thankfully ! I to love the one about the dog bed, my husband came home with a hug and costly dog bed for Chance. Put it down and left the room was gone about an hour and went back to see how he was enjoying it, and we found it all over the house. Still have it stuffed back in one bundle and it out in the in a store room, can’t bring myself to through it out cost to much and maybe someday I may make a new bed out of it. Lol! This is great, but I must say I don’t think it’s just a Pyreness thing. My Pyrenees (6 months) has her own miniature horse! They play and hang out together. They have their own barn and when the new bedding is put in they both try to roll around in it at the same time. So Kona is now Tinks guardian. I could not cope with a Pyrenean I know it, they are like me far too high maintenance!!! I love a comfortable bed, and a spa day and I am SO over toys in five minutes. These are really sensible and focused notes. Sometimes we need to have the obvious pointed out to us to bring us back to the here and now, so thank you for this. My ex hubby is from PAU in France. Pretty much where a lot of these dogs, live and work. They are an impressive bunch to watch! Like Cockers (my favorite breed), Great Pyrs get a lot of false info online. I am happy you are getting the word out about the do’s and dont’s. Way to go in keeping folks educated. This is funny, I don’t have Great Pyrs, but I can relate to some of those. These had me giggling while I was reading them. Especially the dog bed one, cause I see that one every day with our crew! Excellent job on educating about this beautiful breed – first tip was to buy an expensive bed, and that made me laugh because it is so true! Beautiful dogs and great tips! These would make for happy Huskies, too! Huskies are a beautiful breed, I love how they talk and sing. I love all of GOD’S creations because HE created them for us. Ah yes, we caught Mr. N ignoring the pillow in favor of sleeping with his head on a hairbrush! How is that comfortable? This is awesome and made me giggle…and cry a little because, even though I don’t have Great Pyrenees, I can SO relate! 😉 Especially, the baby pool that Simon and Zora (labs for crying out loud) ignore and Piper (pit bull) is afraid of! This is too funny. They sound like being owned by two pampered Persians. Buy a $2000.00 living room set as your Pyrs new chew toy!!!! It is now in my mud room for them to sleep on (talk about expensive dog beds!!!) and it isn’t even paid off yet!! Have actually owned it for less than a year!! Found my next couch already….. $350.00 LOL!!! I did buy several actual dog beds…. and yes, they did sleep on them…. until they found out they made GREAT chew toys and it looked like I had green snow in my house for MONTHS!!!! Live and learn! I gave my Pyr two ginger kittens. Best plaything ever! They sleep with him and make him play. He abandoned his expensive bed for a foam futon, which iis now his. He fits your profile perfectly. This is such a great post. And by the way, you have beautiful fur babies! Ike thinks the purpose of any stuffed item (bed, toy,pillows) is to figure out the fastest way to get inside and distribute the stuffing. The more dog proof it is, the bigger the challenge and more exciting it is to destroy. I t also think he looks at the price tag- if its cheap forget it. You so hit the mark, but my 120 pd pyre mix loves beds WITH PILLOW !!! I found used baby mattress at yard sale , he sleeps on that in tv room. Then has extra cushy bed in his crate he likes to sleep upsidedown on . And spends part of night in my bed. he just makes tbe bed rounds all night. Lol. . .we rescued him at 4 months. We spent SO MUCH on dog toys. . .his favorite is an empty gallion water jug. . . Ictry to rencourage him to dig because he so loves it. Does happy spins inbetween bouts of digging. I just fill them back in later. Marlow just turned 4. LoL – great list, so true. My boy is now 3 and actually does have a favorite toy, a bright orange squeeky squirrel. Then he loves empty water bottles. He also loves our long walks together, as do I. One annoying habit he has that I can’t seem to break is his obsession with his food in the dish. He just keeps trying to either bury it or scoop it out with his nose. But, what can I do? He’s my best friend in the world! Lots of love for my boy! I can relate but with my two cats Coco and Cotton. I haven’t thrown out the two beds I bought over 2 years ago, which they have yet to sleep on. I think about them at nights when I try to turn and find my legs hindered by cats on my blanket. And all the toys are abandoned in favor of candy or anything stolen from my purse, my emery boards, or just digging my clothes out of my drawer and unto the floor if I ever forget to close it. Oh yeah and I can leave no usb cord unmonitored. To top it off they are totally unrepentant and give me so much attitude after the fact, I can’t help but crack up as I wonder, who really owns who? You hit the nail on the head!!! This describes our pyrenese to a tee!!!!! That’s a great list! I have tried some of it and gonna try others as well. I think it’s very important to keep them happy as it has a positive impact on dog health. My Pyr is a service dog and travels with me extensively. When we are not home in Utah with her big back yard, I not only take her for long walks, we found a way to chase squirrels together attached by a leash. She takes 2 quick steps and pauses and repeats until we reach the tree the squirrel is treed in. She then stands on her hind legs trying to climb the tree to get the squirrel that she just knows she could catch, if I would only let her off leash to try. I have photos with her trying to climb to the squirrel and the squirrel facing down the tree to scold her, but I couldn’t drop and drag them here. We do not seem to have any squirrels in Northern Utah, so it is a treat when we can “chase” them in Texas, Florida, Virginia, Maryland, or elsewhere. I can relate to most of these. Bella & Boone (both GP) are also very happy digging next to the steps to stay cool. During the warmer months, they prefer indoors but when it’s above 75, I have to drag them inside. Their kiddie pool is defiantly used more as an over-sized water bowl. They are the pickiest eaters I’ve ever seen. They bark at a shift in the wind. Nocturnal roaming in the house now has me sleeping with ear muffs on. Considering buying a Rumba to help with the fur on the floor. Currently changing T-shirt’s at least three times a day due to the drool I inherit when they want to cuddle. Stuffed animals belonging to the grandkids are fair game if left out. I wouldn’t change them for the world!! Great tips for anyone. personally we have face issue in spending time with them to do these.But i always trying to stay with my pups.Thanks for great tips. Oh my gosh, so funny! All of this is so true. Just makes ya love your fluffy friend all the more! This is great, but I must say I don’t think it’s just a Pyreness thing. All of these are true for our Pyrs….except the swimming pool. lol. We have the opposite problem. Inside water is fine, but outside, any type of bucket or pool regardless of the size is fair game for a splash. Nala dives in with both feet even into a small bucket of water. Hilarious. It would be best to get these cuteness their own 5-in-1, All terrain stroller . It’s great for travel, comfy and cozy for the fur friends. My Fido got his own from Petique pets and it’s worth the splurge. Awesome I must say!